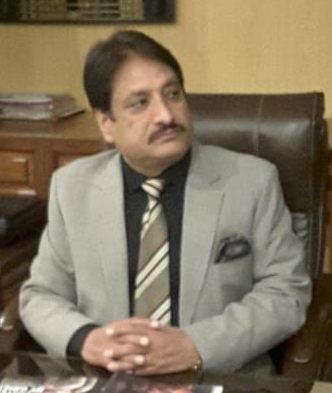 The Accountant General Khyber Pakhtunkhwa has been pleased to order transfer/posting of 20 Divisional Accounts Officers. 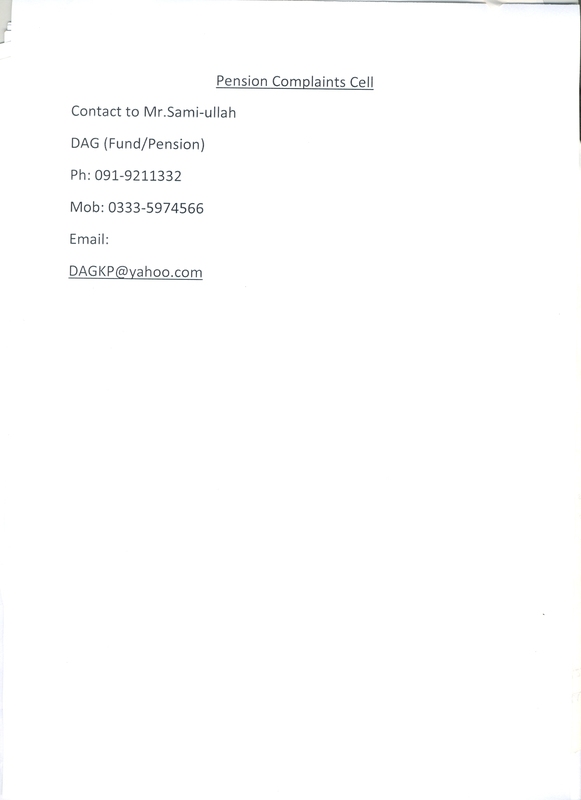 Purchase of Office Stationery and Misc. 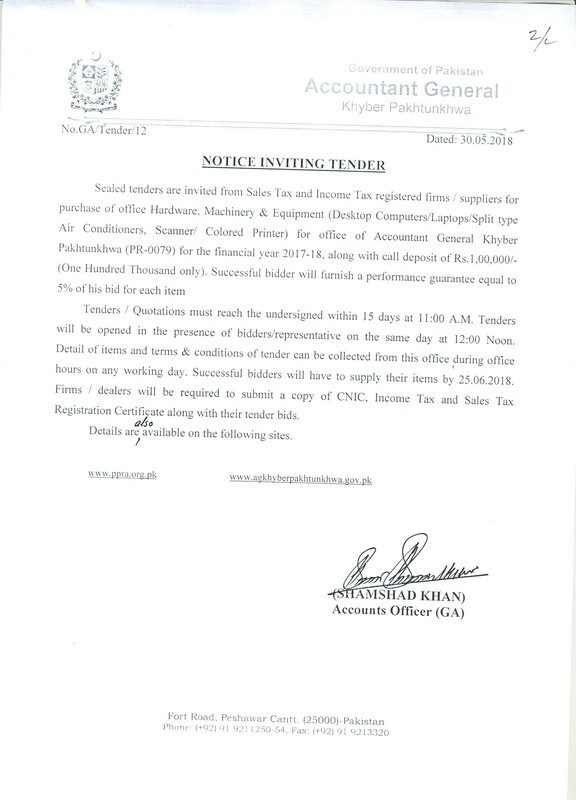 Items for Office of Accountant General Khyber Pakhtunkhwa Peshawar. 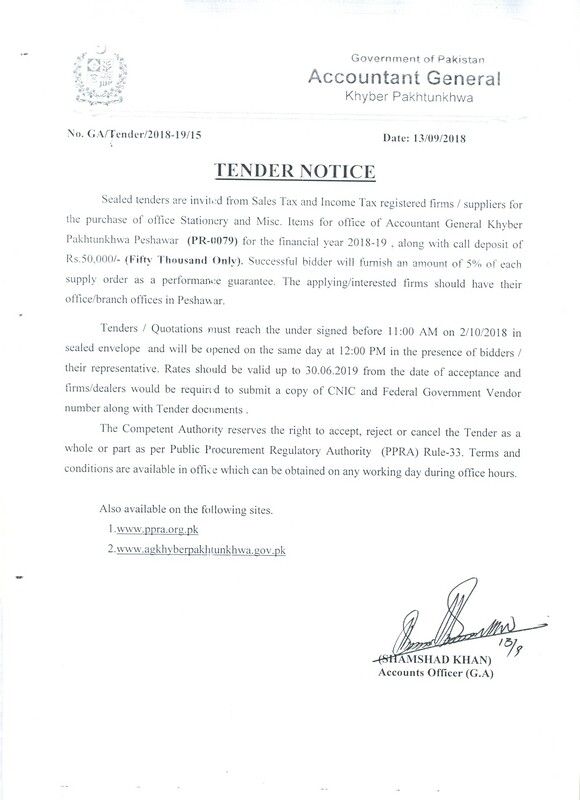 Tenders are invited from Sale Tax and Income registered Firms/Suppliers for providing of Janitorial Staff for office of Accountant General Khyber Pakhtunkhwa. 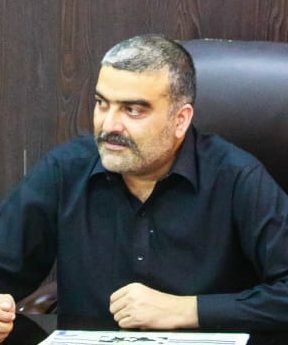 For Purchase of Office Hardware Machinery & Equipment (Desktop Computers/Labtops etc.